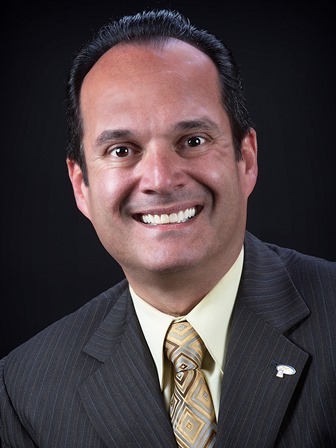 Aldo M. Martinez is the Managing Broker of Berkshire Hathaway HomeServices Southwest Branch’s Residential and Commercial operations. He directly oversees over 200 Sales executives, engaging in Residential Sales, Commercial real estate, Property Management, and servicing of Institutional sellers of Bank Owned assets. Aldo has over 22 years’ experience in Residential and Commercial operations in the Greater Las Vegas Area. Prior to Joining Americana group in 1993, Aldo was the Recruiting and Retention Sergeant Major, overseeing the operations and Budgets. Since his joining Americana Group, Aldo finished as best new agent in 1994, averaging sales in excess of 5 million dollars and has become the Managing Broker of the Southwest office upon its grand opening in April 2005. In 2008, the Southwest Branch achieved national acclaim and since, consistently ranks in the top 10 of all Prudential branch offices nation wide.